2. Print the Pledge Form and ask your friends, family, neighbors, teachers, coaches, doctor, and so on to sponsor you for this great cause - the pledge form is on the bottom, lower right corner of this page. 3. 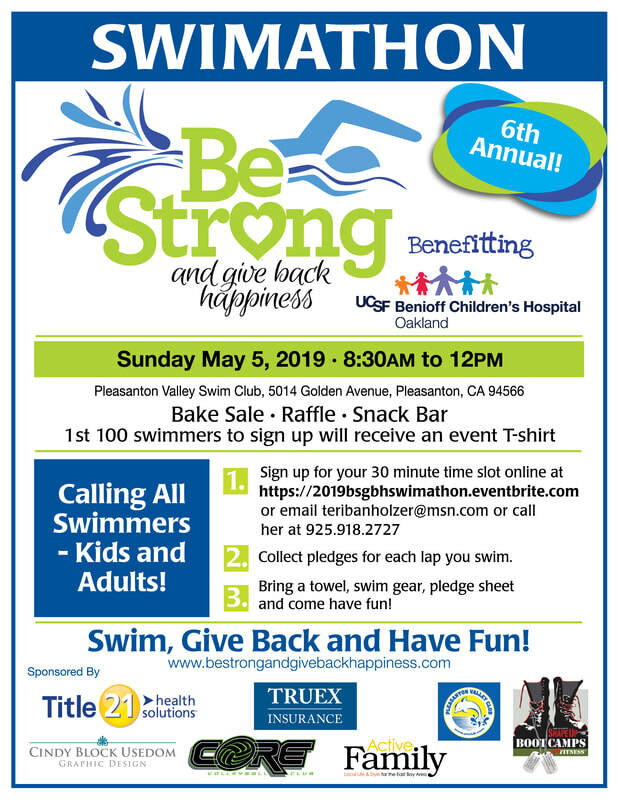 Come to Pleasanton Valley Swim Club on Sunday, May 5th and be prepared to HAVE FUN and BE STRONG and GIVE BACK HAPPINESS!